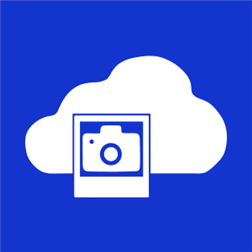 Last week I have published my first Windows Phone App called ‘Photo Upload’. Note: With Windows Phone 8.1 Update the described procedure with Google Account is not possible anymore. Use iCloud Account instead of Google Mail Account and do the described steps in same manner. Microsoft has announced the release of Windows Embedded 8. Windows 8 will support x86 as well as ARM (ARM support is a part of Windows Embedded Enterprise) => Cauton: ARM platforms need own ARM drivers and ARM compiled applications. Not all ARM are supported. First Release is shipped without ARM-Support. If you execute a sp_ prefix stored procedure the SQL Server searches the stored procedure in the sys-namespace of the master database by each exec-call. This may causes some performance issues. A possible way to use consistend naming conventions could be usp_ or other specific prefixes (for example three characters: get, set, chk). If you have a non clustered index on unique identifier you might have identified a serious performance problem. The SQL server creates for each non clustered index a separate table. By inserting a unique identifier with “NEWUID() stored procedure” each new data row has to be inserted somewhere within the table which needs a lot of performance and creates fragmentation of the table. In this case you need a function to be sure the insertion process will be made at the end of the table. After this preparation you can copy the files onto the disk.